We'll take calls and requests almost all the time – except maybe when we're up North camping. We'll drive to meet you. 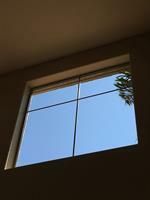 Windows are a gateway to the world outside your space. But our beautiful state of Arizona is certainly not easy on your glass panes. Windows need detailed (and consistent) care. If you're looking for that kind of clean in the PHX Metro area, I'm your guy. Oh, and if you're wondering what a Creosote is, it's an evergreen shrub native to Arizona. The bush's scientific name is Larrea Tridentata, but it's known by desert dwellers as the Creosote bush. Of course, you're probably asking the understandable question, "So?" Well, Creosote leaves secrete a waxy substance, which primarily shields the plant from ultraviolet rays while conserving water. But there's a delightful side-effect. When the wax gets wet, it gives off that refreshing rain smell that desert-dwellers live for. Ok, so what does this have to do with cleaning windows? Well, we want to be like that fresh rain smell in your life. After working with us, your world should feel brand new – rinsed off. And as we all know, it's not refreshing when you have to wait four hours for the window cleaner who said they'd show up in two. That's why we offer our "Get-there-guarantee." We'll be there on-site, on-time, or it's an automatic 20% off your invoice. That's just one of the ways we hope to be a bright spot in your day. We are Creosote Window Cleaning. We'll be on-site on-time or it's 20% off your invoice. We use all safe and non-toxic products. We're "Minnesota nice" (or so we've been told). 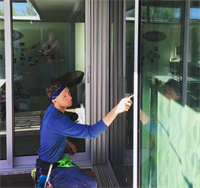 Meet Andy: co-founder and chief window cleaner at Creosote Window Cleaning. Clean windows are king of our thing. We repair bug screens (and sun screens)! 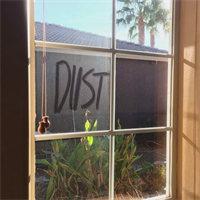 Nobody likes a dusty window. 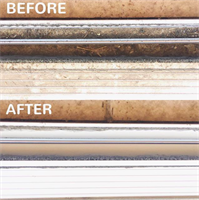 Exposed track cleaning is free with glass cleaning. Clean windows are the best. 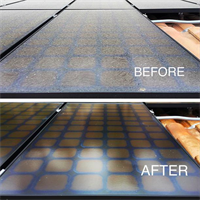 Solar panel cleaning could save up to 20% of solar efficiency.